Who do you have on your team for support? …with the ADHD medication as a foundation, it’s the psychosocial treatments that can come in and finish the job. However, like many adults with ADHD, you may feel the shame of years of failed accomplishments as a result of living with undiagnosed ADHD, and may be reticent to ask for help. You may even have come to believe that you are not capable of reaching your goal(s) and are ready to give up. Wherever you are in thinking about or attempting your goals, you don’t need do it alone. With help you can reach your potential. Therapy and ADD Coaching are two types of Psychosocial Treatments that can provide the support that you need. 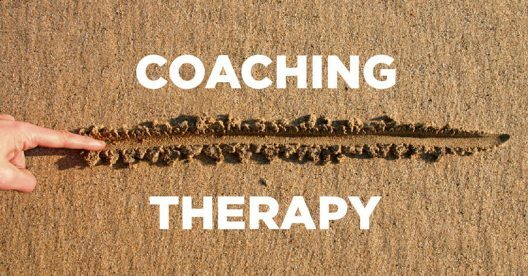 And, in order to decide which type of support is most appropriate for you right now, it is important to understand the key differences between therapy and coaching. In general, ADD Coaching deals more from a present and future oriented perspective. For many adults with ADHD, the issue that prevents them from reaching their goals is not one of knowing what to do or being stuck because of their past experiences. Rather, the difficulty lies in following through on what they know. If this rings true for you, an ADHD Coach can provide the education, support and accountability you need to reach your goals. learn more about ADHD and potential resources that can help you. gain self-awareness about the impact of ADHD in your life. learn about and adopt those skills, strategies and habits that will help you work with your ADHD so you can reach your goals. receive the support and accountability you need to act and follow through on your commitments. In order to fully benefit from coaching you want to make sure that you are in the right place in your life. Taking this ADHD Coaching Readiness assessment will give you an idea of whether this is the right time for you to take advantage of the benefits of coaching. If you determine that you are not ready for ADHD Coaching, you may decide to “shore up your foundation” by working with a therapist first. You can always revisit the idea of engaging the support of an ADHD Coach. Generally speaking, therapy can help you uncover and heal from destructive thought patterns, behaviors and painful beliefs in order to help you operate better in your daily living. For example, you may have regrets about your past and wonder what might have been if you had known about your ADHD sooner in life. Perhaps, you are still suffering from past (or present) ridicule or criticism as a result of your ADHD, and have come to believe that you are just not capable of succeeding. These issues, if not addressed, can impact your ability to effectively take the necessary actions to reach your goals. In order to create a better future for yourself, you need to be in a place where you accept your ADHD diagnosis and can commit to working with your ADHD without self-recrimination. If psychological concerns, like the above examples, are keeping you stuck, you may need to work through some of these with a therapist before or concurrent with a more action oriented approach, like working with an ADHD Coach. But you don’t want to work with just any therapist. For psychotherapy to be effective in treating adults with ADD (ADHD), the therapist must take an approach that keeps in mind the neurological aspects of ADD (ADHD) as well as the psychological issues that develop from a lifetime of being impacted by ADD (ADHD). Too often, the adult with ADD (ADHD) receives therapy from clinicians who are trained to psychologically “interpret” all behavior. Therapists with psychodynamic training may view an individual’s chronic lateness as “resistance” to therapy rather than considering the possibility that this pattern is related to an ADD (ADHD) time-management problem that needs to be directly addressed on more practical terms. How much experience do you have working with clients with ADHD? What is your professional / educational background in ADHD? What is your approach in working with clients who have ADHD? Specifically, what is your approach in helping clients with ADHD meet their goals? What is your philosophy of ADHD medication? Working with a therapist who does not have a solid understanding of ADHD can really leave you feeling misunderstood, and obviously will not help you move forward. Over the years I have worked with many clients who have shared with me their experience of working with therapists. Many have found therapists who were a great fit, and helped my clients get to place of acceptance and readiness to move forward. did not have realistic expectations of what my clients could accomplish in a particular time frame and pushed too hard. were confused about my clients’ lack of follow-through and seemed unsure of how to help them. treated my clients like they were their ADHD instead of treating them as whole person. So, please do take the time you need to find a therapist who understands ADHD in adults. The process may be longer, but it will be worth it in end. In addition to finding a therapist who understands ADHD, you will also need to decide which therapy approach is right for you. So, how do you decide whether to work with a therapist or an ADHD Coach? Many adults with ADHD, including many of my clients, work with both a therapist and an ADHD Coach. While you may work on some of the same issues with both a therapist and an ADHD Coach, the following is the simplest way to differentiate between the two. Though many therapists can be very “coach-like,” a therapist will generally work with you on your psychological issues. While dealing with feelings will certainly be part of the coaching process, an ADHD Coach will focus more on supporting you in taking concrete actions toward your goals. You may decide to work with both at the same time. While an ADHD Coach helps you to take concrete steps forward, you can continue to get the support of a therapist to help you with your ongoing psychological issues. If you decide to work with both, it is helpful to ask your therapist and coach to talk to each other on occasion. I have found this collaborative effort to be very helpful in supporting my clients, who are also working with a therapist. It takes time and effort to get the right support. But once you get the right people on your team, they will be your “go to people” for learning, support, accountability and resources. You no longer will feel like you are swimming alone. ←Previous: ADHD and Medication: How Do I Make the Decision? !